When Joel’s forced to confront Fen’s demon head-on, will he exorcise his sweet hubby’s pain, or will it damage their fragile new marriage beyond repair? Joel never thought life could ever be so sweet or perfect. As far as he’s concerned, they don’t need to change a damn thing about their relationship. Although Fen’s belief in a ghost is a little spooky, it’s just another day living with the most perfect man he could have ever hoped to marry. Except emotions can sometimes run high and out of control. 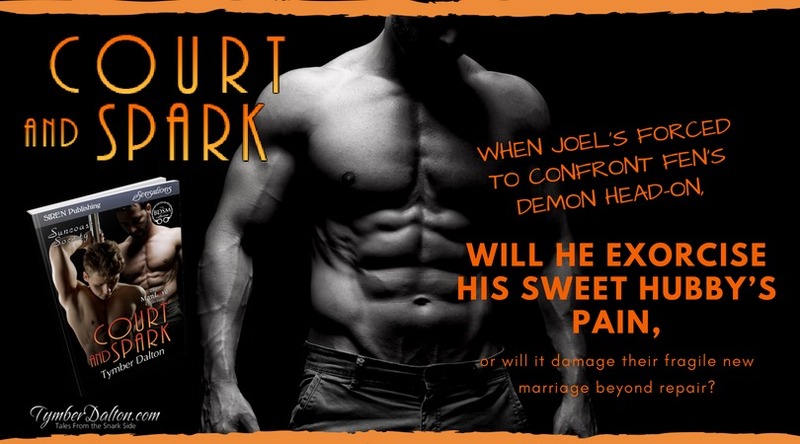 When Joel is forced to confront Fen’s demon head-on, will he exorcise his sweet hubby’s pain for good, or will it damage their fragile new marriage beyond repair? Related Books: Fen and Joel are first featured in Reconsider Me and appear in Searching for a Heart and Happy Spank-O-Ween.